3D printer uses metal – prints a working gun! Ok, so the fact that they chose to print a gun as opposed to some other useful tool is probably mainly for shock effect and media appeal. Still, the fact that these guys are able to print high-tolerance metal parts is amazing! Click Here for the article. 3D printers are becoming more commonplace, but most of them use plastic as a medium and create output using layers of melted plastic (stereo lithography). 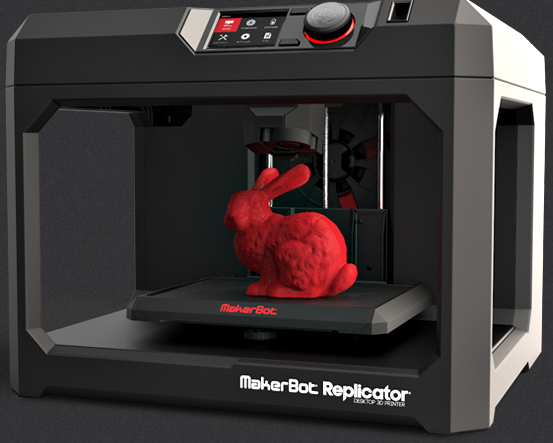 Below is a MakerBot 3d printer. This cool gadget can be yours for a paltry $2,899! As you might expect, a device that produces metal parts is a LOT more expensive. Services like Solid Concepts can be very useful, giving you the ability to print on much more expensive gear, using more exotic materials for one-off manufacturing, prototyping, or even replacing impossible to procure parts on an existing machine! These folks actually have a firearm manufacturing license, so if you have a gun with a broken but impossible to find part, they can probably make it for you quite easily.